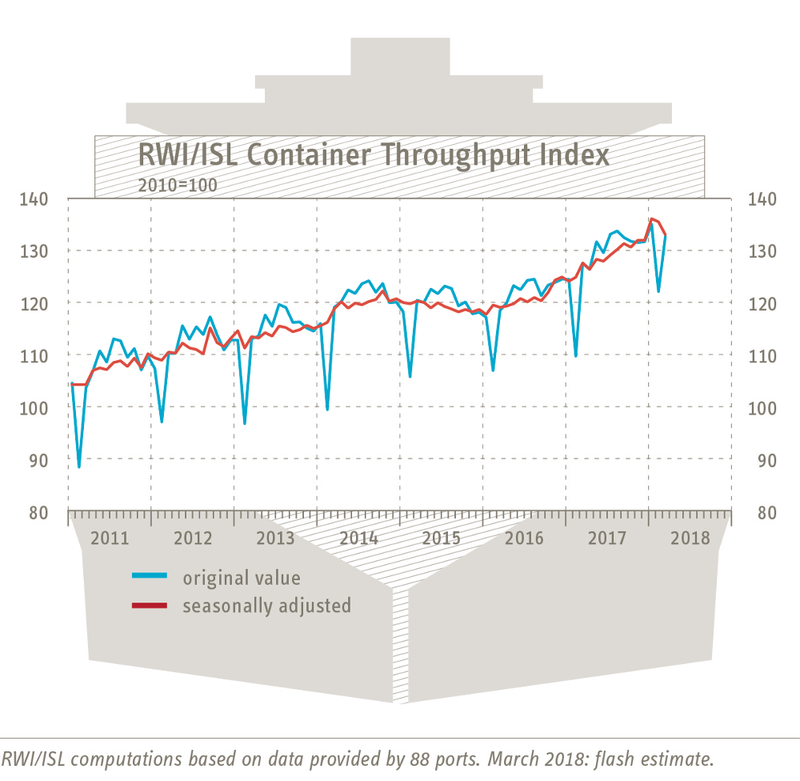 The Container Throughput Index of the RWI – Leibniz Institute for Economic Research and the Institute of Shipping Economics and Logistics (ISL) fell to 133.9 according to the flash-estimate for February. 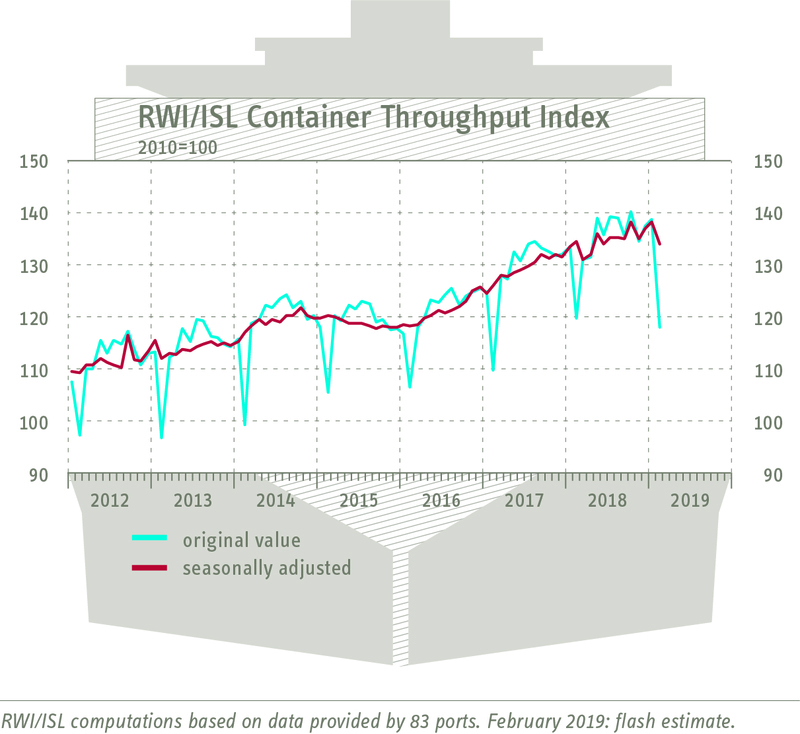 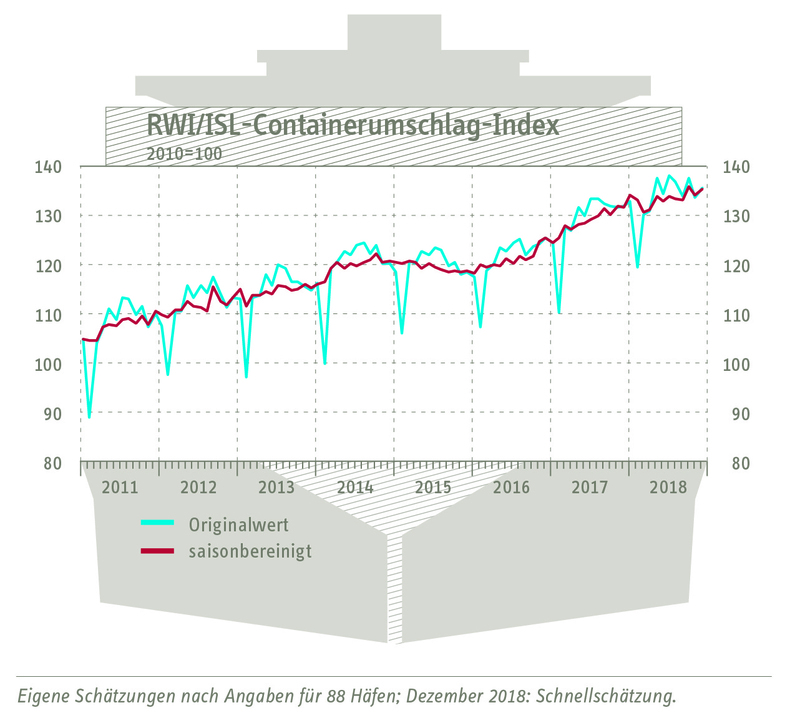 The Container Throughput Index of the RWI – Leibniz Institute for Economic Research and the ISL - Institute of Shipping Economics and Logistics largely recovered in December 2018 from its decline in November. 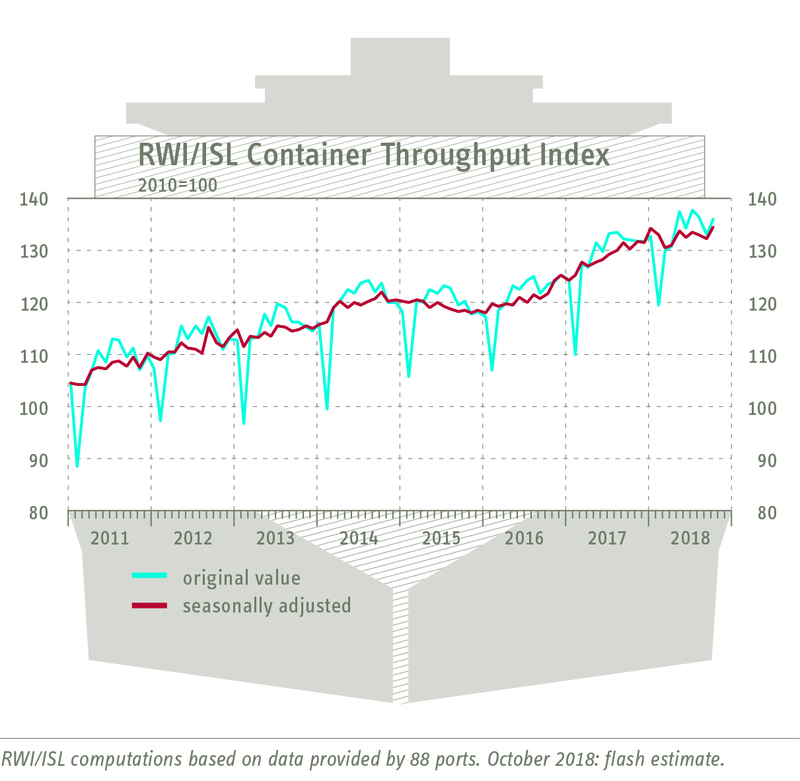 Essen/Bremen, 11/30 2018 - The Container Throughput Index of the RWI – Leibniz Institute for Economic Research and the ISL Institute of Shipping Economics and Logistics reached an annual high with 134.6 points in October. 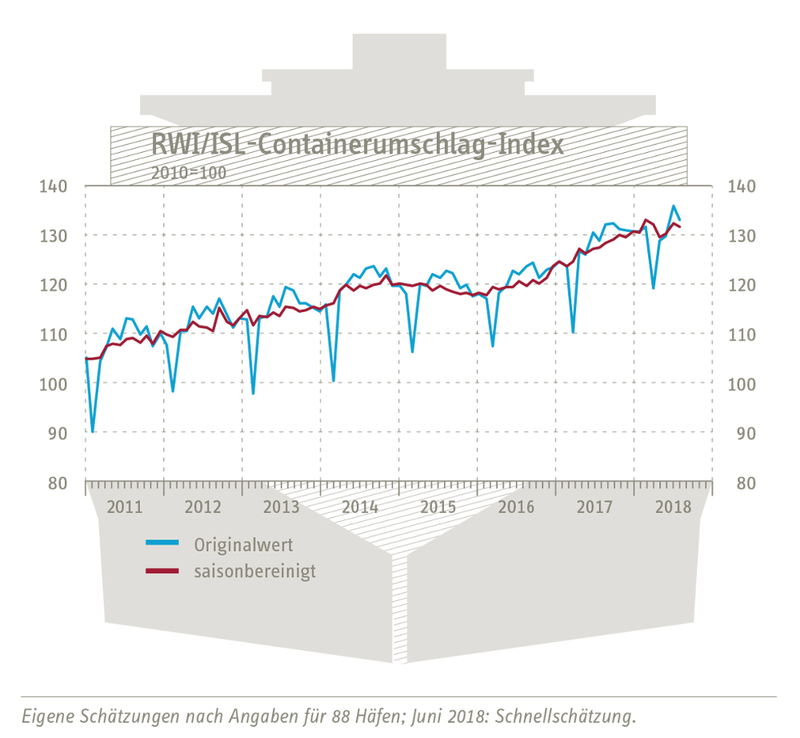 The Container Throughput Index of the RWI – Leibniz Institute for Economic Research and the ISL – Institute of Shipping Economics and Logistics increased marginally from 132.6 points (revised) in July to 132.8 points in August. The Container Throughput Index of the RWI – Leibniz Institute for Economic Research and the ISL – Institute of Shipping Economics and Logistics shows a slight increase between July and July from 132,6 to 133.1. 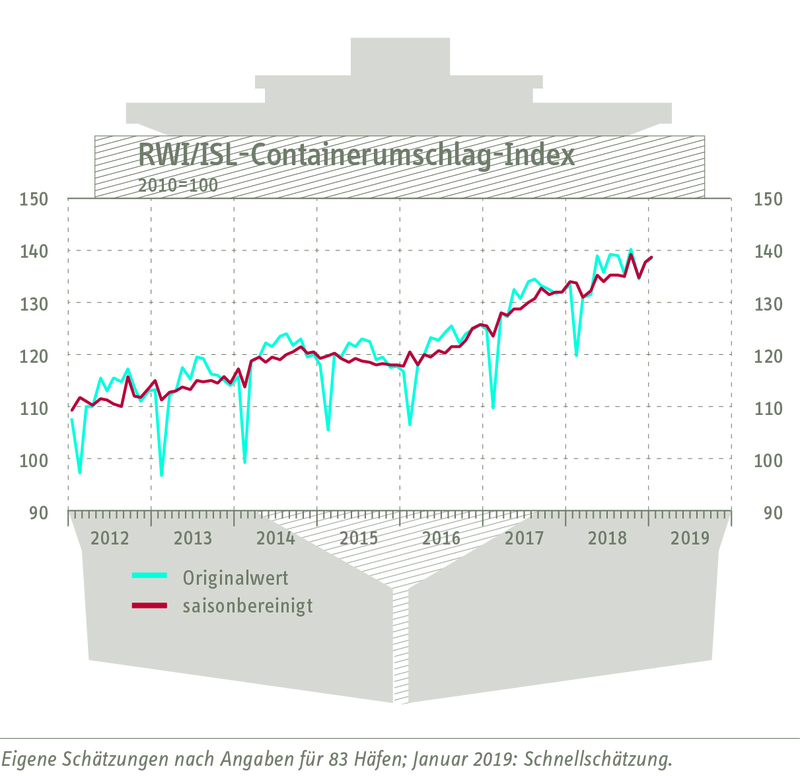 The Container Throughput Index of the RWI – Leibniz Institute for Economic Research and the ISL – Institute of Shipping Economics and Logistics sank lightly from 133.6 points (revised) in May to 132.7 points in June. 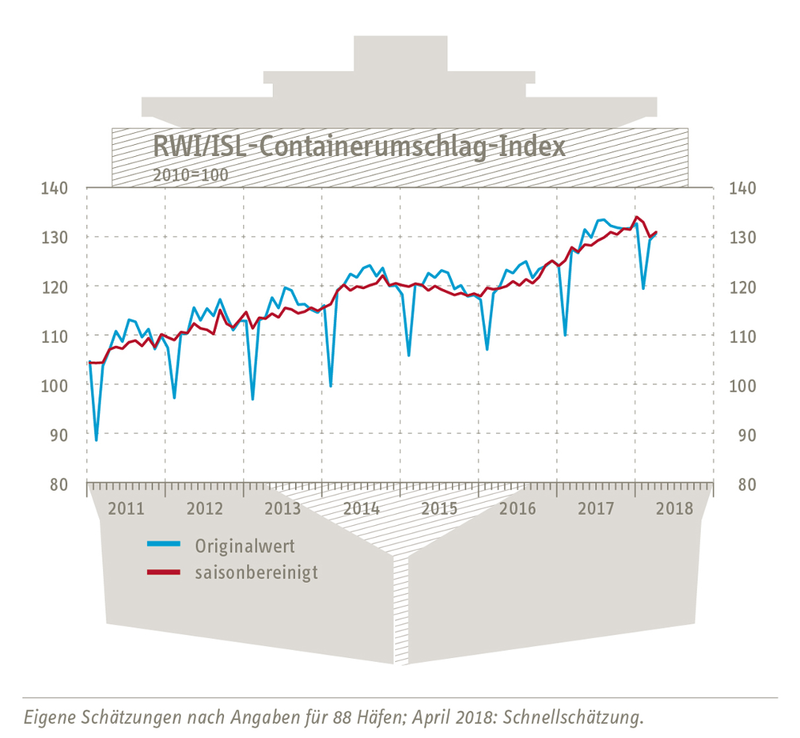 The Container Throughput Index of the RWI – Leibniz Institute for Economic Research and the ISL – Institute of Shipping Economics and Logistics recovered some of its losses during April, climbing from 130.0 (revised) to 131.0 points.